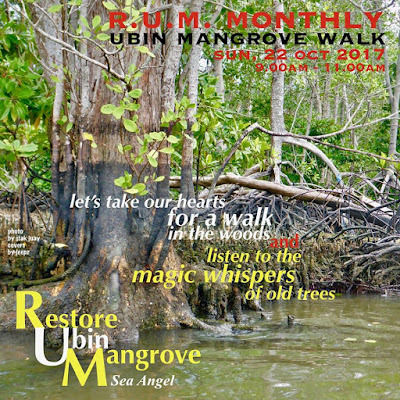 Join us for a walk in the majestic old mangrove forest of Pulau Ubin. 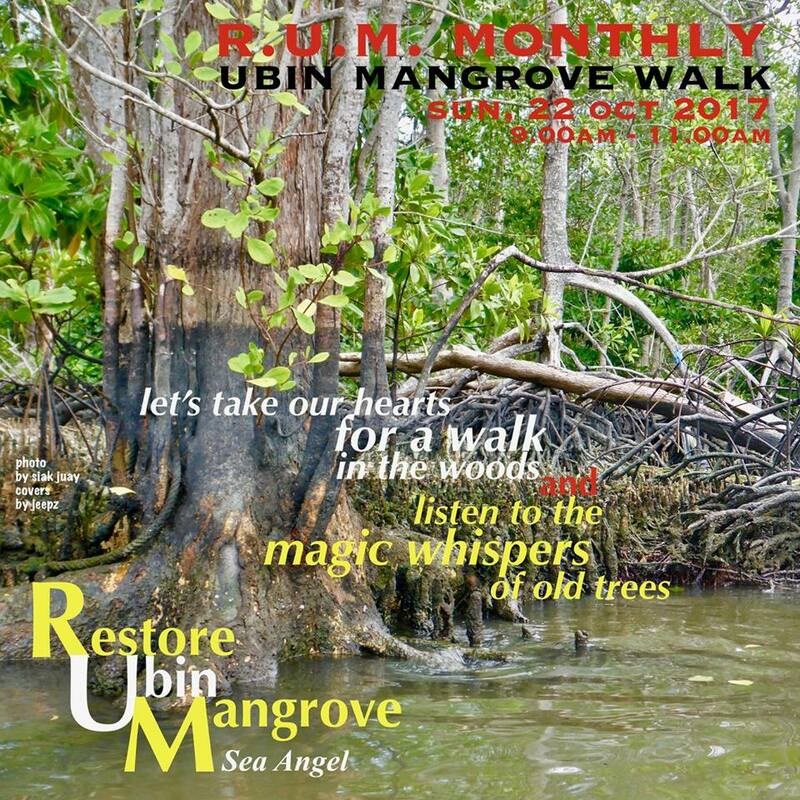 Learn about the very important role of mangroves. Easy leisure walk on flat ground and village tracks. The walk is on, rain or shine. Registration is required for all participants. For further queries, drop us an email at ubinseaangel@gmail.com.